New Directions Publishing Corporation, 9780811220361, 120pp. That Smell is Sonallah Ibrahim's modernist masterpiece and one of the most influential novels written in Arabic since WWII. Composed after a five-year term in prison, the semi-autobiographical story follows a recently released political prisoner as he wanders through Cairo, adrift in his native city. Living under house arrest, he tries to write of his tortuous experience, but instead smokes, spies on the neighbors, visits old lovers, and marvels at Egypt's new consumer culture. Published in 1966, That Smell was immediately banned and the print-run confiscated. The original, uncensored version did not appear in Egypt for another twenty years. For this edition, translator Robyn Creswell has also included an annotated selection of the author's Notes from Prison, Ibrahim's prison diaries--a personal archive comprising hundreds of handwritten notes copied onto Bafra-brand cigarette papers and smuggled out of jail. These stark, intense writings shed unexpected light on the sources and motives of Ibrahim's groundbreaking novel. 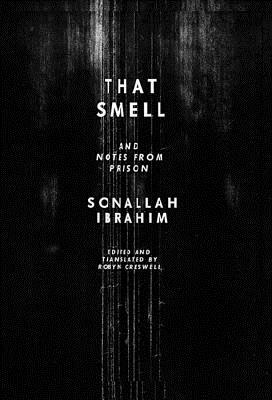 Also included in this edition is Ibrahim's celebrated essay about the writing and reception of That Smell.